Domestic tourism in Australia is suffering as more Aussies are enticed to travel overseas according to Tourism Research Australia's latest National Visitor Survey. Released on Wednesday, the survey shows a seven percent decline to 66.4 million in the number of overnight trips taken by Aussies in the year ending September 30, 2009. Spending also dropped six percent to $42.2 billion during the period. Hotels lost out even more during the year as Aussies clamoured take a day trip, which experienced a five per cent increase in popularity. The highest number of overnight visits were recorded in NSW (33 percent) followed by Queensland and Victoria (24 per cent). These three states, in the same order, also welcomed the most day trippers. The Northern Territory was the only state or territory to record a growth in overnight visitors. The lower number of overnight visits and spending has pushed the total economic value of domestic tourism down four percent to $62.8 billion. American Airlines flight 331: American Airlines crash in Jamaica injures forty, no death reported. The American Airlines Flight 331 from Miami to Kingston, skid off on Kingston International airport. 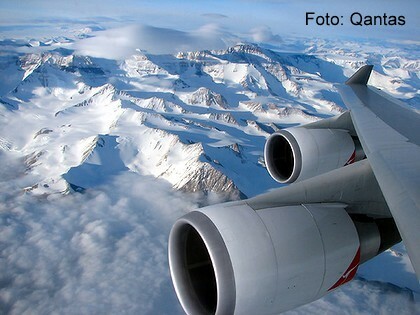 The flight crashed as it failed to stop before the end of the runway. The flight just wound up 10 – 15 feet from the Caribbean Sea. Jamaican capital is facing heavy rain, and it is believe that rain did this damage. More than forty people sustained minor injuries like cut and bruises, they are all admitted to Kingston hospital. Information Minister Daryl Vaz has denied any life threatening injuries. Meanwhile American Airlines official have denied the report which said that airplane was broken into pieces. But officials have said that fuselage is cracked and one side of landing gear is damaged. Tim Smith, a Fort Worth-based American spokesman said that "both engines were removed or taken off the wing as it happened,"
A passenger Natalie Morales said "When we landed it was pouring rain. It literally was like being in a car accident... There was smoke and debris everywhere." National Transportation Safety Board will work with the Federal Aviation Administration and Jamaican authorities to find the cause of the accident. Signature Magazine, a stunning new title aimed at the affluent 50+ market, has released its launch issue. Produced for the baby boomer who has both the time and finances to indulge their passions, the quarterly publication is brimming with inspirational editorial on travel, investments, wellbeing, fashion and style, food and wine, nurturing of the body, mind and soul and a host of other aspects that play a crucial role in this vibrant sector’s lifestyle. The magazine, created by the publishers of Holidays with Kids, Signature Media Pty Ltd, launched with a ready made subscriber base of close to 1,000 leveraged off the well-established Holidays with Kids subscription base. Holidays with Kids readers were offered incentives to subscribe their parents and grandparents to receive Signature Magazine. 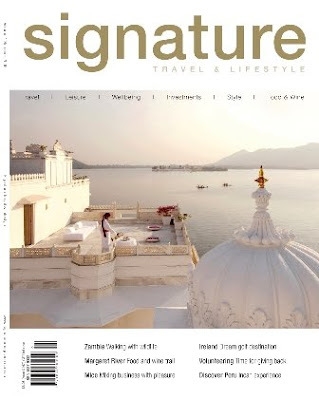 Signature Magazine is also available nationally in newsagents and Borders, as well as selected high-end travel agents, two leading airlines, up-market resorts and cruise lines and a leading financial institution. The number of Australians over 50 will outstrip those under 50 this year, making this demographic the most powerful media consumers. Certainly not a market to be taken lightly, they control half of the country’s household wealth and represent more than one third of all spending. They are by far Australia’s wealthiest demographic. Over the next twelve months they will spend $46 billion on food and wine, $10 billion on clothes and over $34 billion on travel … and they will be looking to us for where to go. The magazine will have a strong online presence with a ready-made audience created by leveraging off of the 51,500 online members of Holidays with Kids. All of these members, (aged 25-45) have parents or grandparents that fall into this demographic. They will be enticed by monthly offers to have their parents register on the Signature Magazine website. The magazine, on sale now, offers editorial innovative to the Australian marketplace. While researching the 50+ market it became evident that a large proportion of affluent boomers choose not to retire completely but to maintain their business interests well into their senior years, keeping their minds active and maintaining the camaraderie with business contacts. 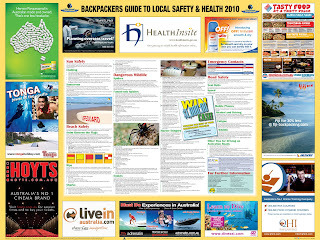 With this in mind, Signature Magazine has also been innovative in being the first leisure magazine in the Australian market place to include a regular section on MICE travel. Our decision to include MICE (Meetings, Incentives, Conventions and Events) recognises that this 50+ market are actively involved as company directors and senior level decision makers in highly successful businesses. Editor Cathy Wagstaff says, “The time is ripe for this publication. It meets the needs of this growing, active demographic which, according to Tourism Australia, are the highest consumers of adventure travel”. This market is passionate about seeing the world around them and won’t procrastinate. 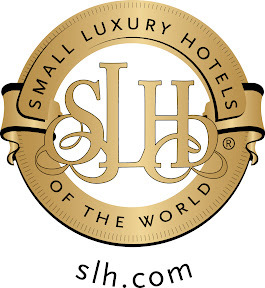 The Signature Magazine website will be a one-stop, interactive site that will offer readers and members a range of targeted information, forums to share travel experiences, plus a chance to link up with other travellers with the same destination or event interests. Captain Cook Cruises’ Reef Escape sustained some damage after the vessel stuck a reef during the cyclone. Reef Escape was subjected to an unexpected severe change in weather conditions during Cyclone Mick on Mon, which led the Master to beach the vessel in the interest of safety forthe ship, passengers and crew. The cruise line says all pax are safe and uninjured and being offered necessary support.